A few answers to some common questions about bad weather. In principle, you can refuse to pay an employee who doesn’t make it into work due to severe weather. This is because an employee who isn’t working, is not fulfilling their contract of employment, and so you do not have to pay him or her. However, this is an employment scenario where the letter of law says one thing, but common sense dictates a different approach. The financial burden of paying staff even though they are not working because of bad weather may be outweighed by the benefits, since staff morale and your reputation as a good employer may benefit in the long run, if you pay staff on a snow day. What are my options if I need employees to work even though the weather is bad? Many jobs can be done from home, and employees who frequently work at home should be encouraged to do so when bad weather is approaching. However, employers need to be careful about asking employees to work at home when this is not included in their contracts of employment. If it is not included then you would need to consult with them, in advance about working from home, as well as ensuring it is practical for them to do so as some employees; homes will simply not be set up to be turned into a temporary workplace. 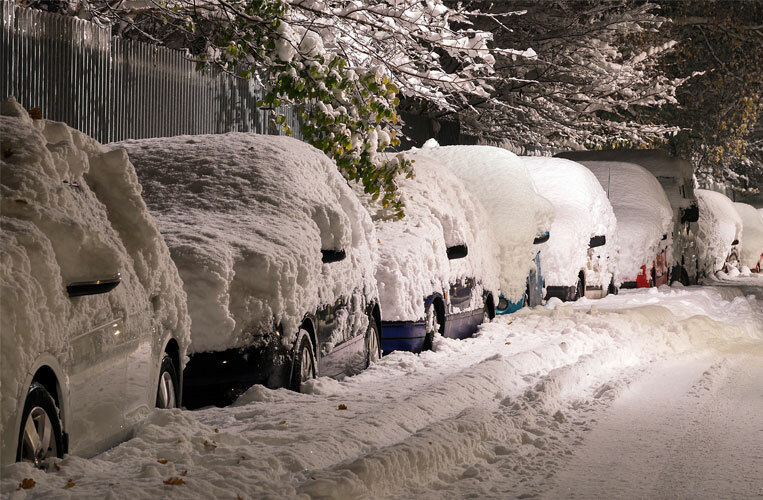 Can employees take annual leave for periods of bad weather when they cannot get to work? If an employee is unable to get to work because of bad weather, then taking the time as paid annual leave is an option. There is nothing to stop you asking if employees would like to take extra holiday if they are unable to get to work and many employees will find taking paid holiday preferable to losing a days’ pay. If the employee does not want to take annual leave, you can insist on them taking it as annual leave but you would need to give them statutory notice of your intentions i.e. the length of notice must be at least twice the period of leave you require them to take. However, as in question 1, you may want to consider the staff morale and your reputation, if you do insist on it. If employees are working from home, you must pay them their normal wages. If an employee is unable to work because you have made the decision to close the premises, this will in effect be a period of lay-off. You should pay your employees their normal wage unless you have a clause in their contract of employment allowing for unpaid lay-off, or the employees agree to being laid off without pay. I have employees with children at schools and nurseries that are closed because of the severe weather. Do I have to give them time off when they have nowhere to put their children? Employees have the statutory right to a reasonable period of unpaid time off for dependants. The right applies where an employee needs to take time off work because of unexpected disruption to the care arrangements for a dependant. The right to time off for dependants would clearly apply where schools or nurseries close because of severe weather. An employee taking advantage of this right must inform you of the reason for the absence, and likely length of the absence, as soon as he or she can. You may need the policy only a few times a year, but it is a good idea to make your workforce aware of the rules that will apply if they have difficulty getting to work because of bad weather. The policy can be open-ended enough to include disruptions caused by anything from natural disasters and severe weather to public transport strikes and terrorist attacks.